Originally a historic cottage, which was transformed into a plantation house, this hotel comprises a total of 14 rooms. Facilities include a foyer with a 24-hour reception desk, a safe and a currency exchange desk in addition to a games room, a TV room, a restaurant, conference facilities and a garage. Each of the rooms has been tastefully furnished to provide warmth and comfort while blending naturally into the mountainous surrounds. Each features a full bathroom, a balcony affording breathtaking views out over the mountain range and air conditioning (individually controllable). 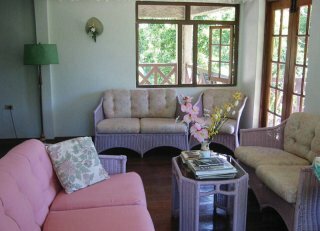 Each floor of the plantation house and cottages has a spacious patio from whence guests may be at one with Mother Nature. On request, cabins may be provided, each of which can be subdivided and is furnished with single, double and king-sized beds. 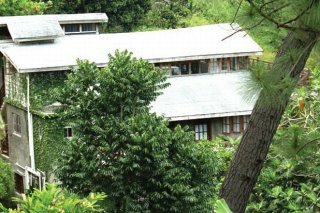 This small, intimate guesthouse lies nestled in the foothills of the Grand Ridge of the Blue Mountains about 1 hour?s drive from Kingston. A hearty breakfast is on offer to guests each morning; lunch and the evening meal can be chosen from a menu whilst the latter may alternatively be taken à la carte. It is possible to book a half-board, full-board or bed and breakfast only stay.